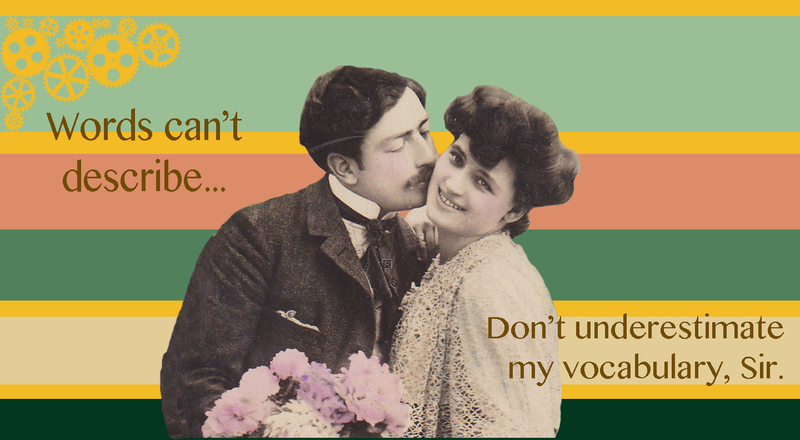 The Dictionary of Victorian Insults & Niceties celebrates the coming of Valentine’s Day by sharing ten of the most romantic words you never knew… or have I too underestimated your vocabulary? numinous adj. describing an experience that makes you fearful yet fascinated, awed yet attracted; the powerful, personal feeling of being overwhelmed and inspired. serein n. a fine rain falling from a cloudless sky. eudaimonia n. human flourishing; a contented state. sweven n. a vision seen in a dream. selcouth adj., adv., n. (to make or be/the state or characteristic of) unfamiliar, unusual, rare; strange, marvellous, wonderful. trouvaille n. something lovely that was found by accident. basorexia n. the overwhelming desire to kiss (this is a medical term). philocaly n. the love of beauty. redamancy n. the act of loving someone who loves you; a love returned in full. Because of the teatotallers, many people see the Victorian Era as a time of widespread abstinence, but this was most certainly not the case. Drinking was not as regulated as it is today, and it was often recommended by doctors to relieve pain. And it was certainly used recreationally! It’s the weekend, so I thought I would give you some words for drinking and drunks. ‘Getting a Brannigan’ meant getting drunk (on purpose). ‘Drinky’ was another word for tipsy. If you kept drinking after you were drinky, you might become ‘rumdum,’ or stupefied through drink. 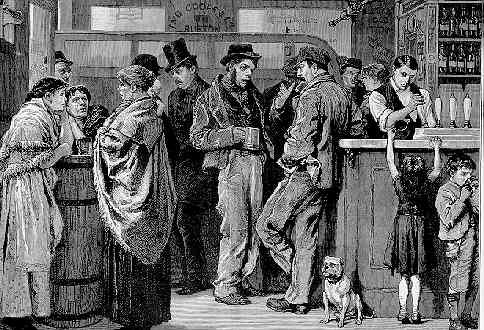 A ‘boozer,’ ‘dip,’ ‘dipso,’ ‘swiper’ or ‘swizzler’ was a heavy drinker. To ‘swizzle’ was to drink. Swizzling too much would make you ‘blootered,’ or thoroughly intoxicated. Other adjectives for drunk were: buffy, dead-oh, half-shot, lushy, scammered (like hammered), shicker, sozzled, squiffed, squiffy, squizzed, and tanked. James Harbeck is a blogger I admire. We share an interest in language, and I think he’s better at it than I am. I strive to give words character, but he effortlessly cooks them up, infusing them with flavours, and smells. ‘Propaedeutic‘ tastes like Donna Haraway’s Manifesto of the Cyborg, and smells like the university campus where I first read her. My language is populated with ruffians, like the people in the pub on that campus. I wrote about being new to English yesterday. Newie-ness brings fresh eyes on an old conversation. Fresh perspectives make language interesting. Though he might be a better writer and I admire him so, Harbeck isn’t better than me (I tell myself); we serve different lexicographical purposes. As I’ve been told in my Blogging 101 course, my lexicographical purpose is strange. 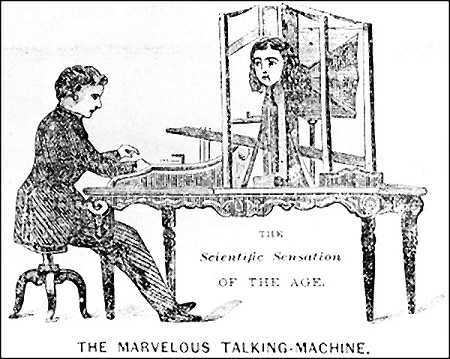 It’s like I’m building a time machine, so that I can take writers back over 115 years and introduce them to their verbal ancestors. I’ve been treating words like characters because my role is to introduce them to you, so that you (all of you wonderfully talented Harbecks) can reintroduce them to the reading public with all of their multiple meanings and flavours. It is exactly because I admire other people’s writing so much that it is so important to me to finish the Dictionary of Victorian Insults & Niceties. We write historical fiction because it is easy to relate to situations from the past. Stories set in the past, whether closely related to something that actually happened, or not, speak to the present. Moreover, we tell our stories from the present. Feelings are timeless. The human experience is timeless. In writing my novel, I related to my protagonist’s frustration with her love interest’s refusal to show as much interest in her as he had previously. The feeling I thought my readers could relate to was akin to waiting for a text message. The post was the 1890s equivalent to contemporary text messages. To convey the feeling correctly, I transposed that sense of frustration from repeatedly checking your iPhone to repeatedly checking the mail. The post came more frequently in 1890s London, so it was easier than I imagined, and I was happy with the result. I want to help you tell your story. I don’t think I am better at telling stories than you are. You may have written more than I have, but I’ve been researching the Victorian era for over two years now. My dictionary is much more than a collection of words. Words have contexts. The word ‘anthropoid’ carried different connotations in the latter part of the nineteenth century than it had in the first. ‘Deadlily’ sounds like a dead flower, but conveyed the sense of something more like a zombie to Victorians. These words provide layers of meaning. Some (not al) of your readers will get that and it will add richness to your text. These words can also be fun and very specific. In Victorian slang, a WIPE-HAULER was a thief who stole gentlemen's handkerchiefs. I’m not creating this dictionary to make money. I would like to give it away for free as much as I possibly can. I would like to find ways for relevant historical society’s to use it as a fundraising tool. I want to help you write your stories. I want to hear your questions and feedback. If I can’t answer your questions, I will probably be able to find someone who can. As I’ve been blogging about my research, and asking the internet my own questions, I’ve found support from academics and researchers all over the world, who have shared source material with me that I wouldn’t have been able to find anywhere else. I want to give back. If you are anything like me, you are my ideal reader. I’m browsing other blogs today, as per the instructions of Blogging 101, while I wait for texts from my beloved 21 year-old only child, who is travelling back to Vancouver by air. It’s a pleasant way to pass the time, while I excessively worry about someone who is old enough and responsible enough to take care of themselves. The writers on WordPress have some wonderful things to say about words, and I think harm-less drudg-ery will quickly become one of my favourites. Stamper has a concise way of saying things I’ve been thinking about for a while. That is exactly why I won’t be able to leave the offensive words out of the Dictionary of Victorian Insults & Niceties, though I’ve always thought of myself as more of a lexophile. After I began my other blog, I quickly realized that I wasn’t the only one obsessed with Writers in London in the 1890s. I feel that is finally beginning to happen with the Dictionary Project. Look at the blog. Sequiotica. I love what she has to say about thimbles. And people who love words like talking about bad words because, in that context, we get to use them without the terrible consequences. Just look at the video for the Dictionary Project. 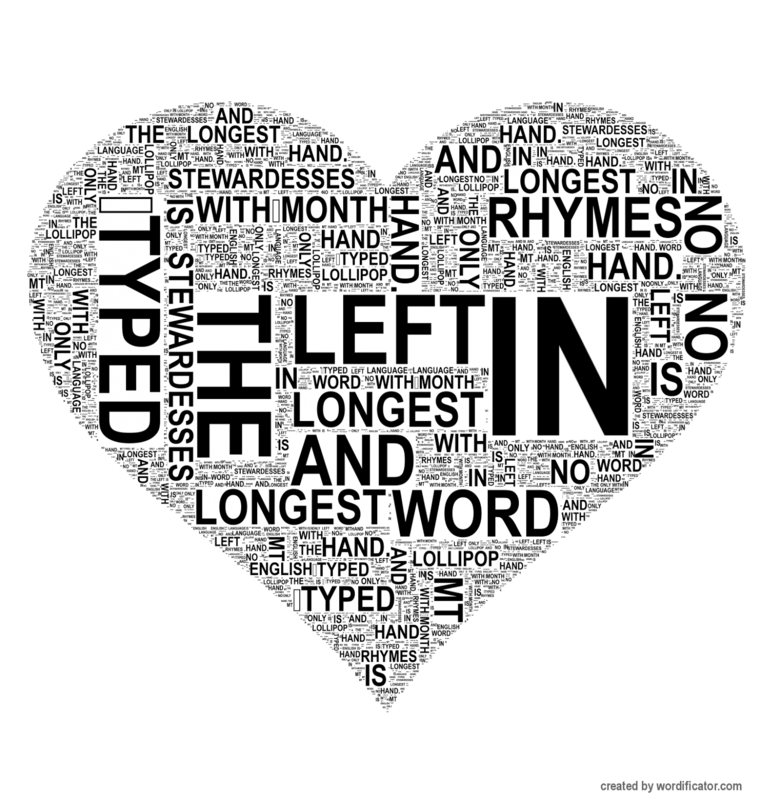 Now look at this post on so long as it’s words. I love the naughty playful tone lexophiles take when discussing dirty words, love, love, love, love it! So I’ve followed at least five of these today. I’ll be checking my Reader more often now. Thank you Blogging 101.